It's the most wonderful tiiiiiime of the year! SURVIVOR TIME! 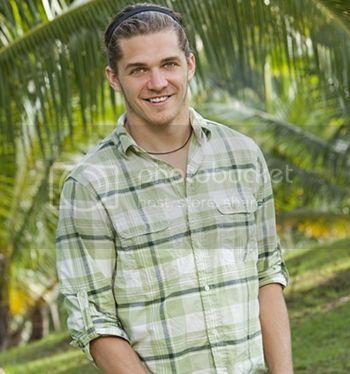 I'm so excited for this season's Survivor with a much more interesting twist on returning players. There will be three tribes and each will have a returning castaway who was medically evacuated from the game. These people deserve the chance because they got screwed, not for some dumb conflict ploy (Russell Hantz). The new season of Survivor: Philippines starts September 19th and now comes my favorite part: the pre-show winner prediction. Again I've poured over bios, watched all the videos. I'm ready to make my guess. "Play it just a little sociopathic" is what Malcolm advises and I fell in love with the way he views this game. THIS sounds like a player, and he's been a fan all his life. He's actually very smart, but he looks like he could be dumb dude. He seems charismatic and likable, a person people will want to align with. His big obstacle will be being perceived as a physical threat however I think there's a lot of other guys that would get targeted first (ahem, Pete). My runner-up is RC because she seems smart and physical, but I'm having a vibe that a guy wins this season. She also seems stronger on paper than her video, so I wonder if she'll just not connect with others. And lest you think I didn't notice or care: Blair from The Facts of Life is on this show. The nostalgic side of me is so excited, but I'm also a little leery because I've heard some of her religious views that don't sit well with my own thoughts. BUT, kind of an awesome get. Next year: Tootie. Who do you think will win Survivor: One World? Leave your prediction in the comments or tweet me @melgotserved. Get it right and you'll get a shout-out at the end of the season.